This type of "award" has the lowest value and is not recognized as an award for serious and ethical people or sites and can not be considered an honor, it's often considered a gesture of friendship or even as advertisement of the website that gave it. To be considered a true award, is necessary that you make an application, or request the award giving your name, email and name and address of your website, among others, and that your site is reviewed by the person who will grant or not the award. 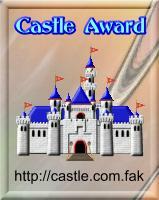 The fake awards are usually granted without any requirement (sometimes just copied from a website or blog), are given to please a friend or a person (sometimes in large quantities), are like banners to advertise the website that issued it and, sometimes, even require that the "awarded" sign the guestbook or vote on the site in some contest or voting. 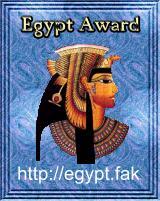 The main characteristics of a fake award is that it generally has a higher size than the recommended size (100x140 pixels) and displays the address of the website that issued it to serve as an advertisement, so that other unsuspecting awards hunters can visit the site to request it. 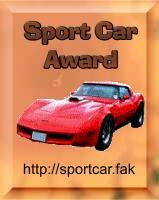 To summarize, by placing a fake award on your website you are just decorating it, or worse, doing free advertising for someone, because it's an "award" with no practical value. It's for website owners to decide, but remember that the fake awards will just witness against the person or against the website, because this type of award is considered unethical for those who receive it, as well as for those who grants it. Publicize this program by copying one or more of the images below and placing on your website with a link to this page. Join us, it's free! The names of the sample awards showed in this page were chosen randomly, just to serve as an example, I have nothing against the awards that bear these names or designs, or against their owners.